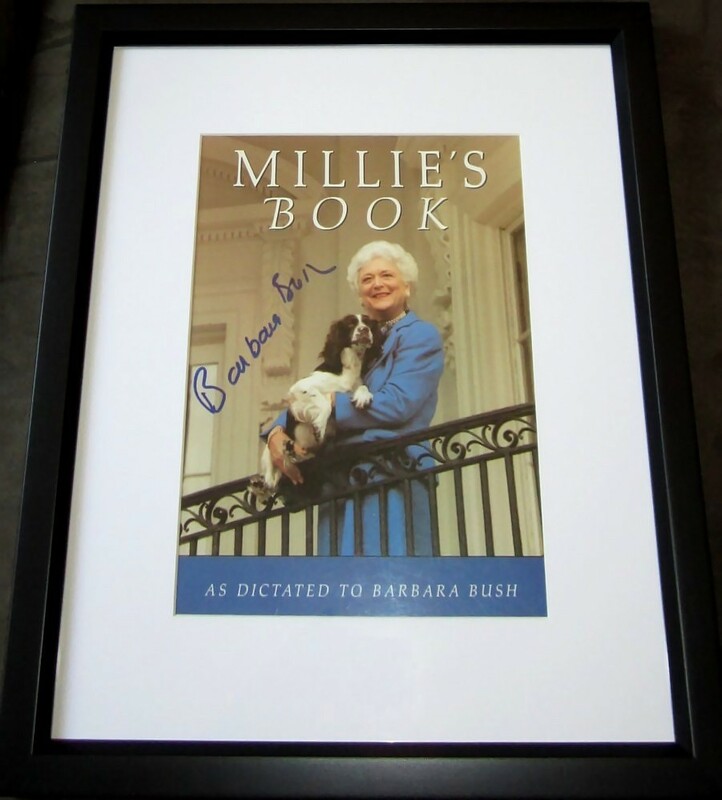 Millie's Book cover autographed beautifully in blue marker by former First Lady Barbara Bush, professionally matted and framed with glass, ready to hang. 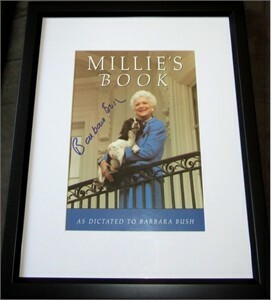 Framed size is about 12 1/2 by 15 inches. Obtained in person. With certificate of authenticity from AutographsForSale.com. ONLY ONE AVAILABLE FOR SALE.